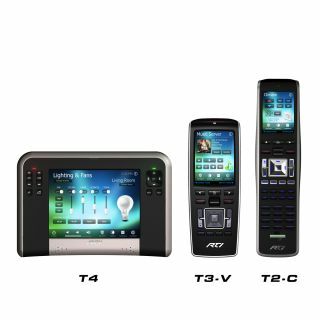 RTI announces that its control systems now provide two-way communication on both its in-wall and handheld touch screens for commercial or residential applications. Utilizing cutting-edge RTI control processors and wireless ZigBee technology, feedback from AV and environmental systems is now possible. The user interface is both easy to implement and customize by the installer using RTI's renowned Integration Designer software. Integration becomes even more convenient using bidirectional communication drivers developed by RTI via its Integration Partner Program for industry-leading partners and control of Escient media servers, Panasonic IP cameras, Lutron lighting controls, and Aprilaire HVAC systems to name a few.